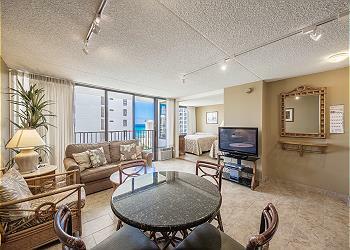 Waikiki Sunset 902 - 1 Bedroom, up to 3 guests, partial ocean view deluxe vacation rental! This unit makes you feel staying in real paradise. 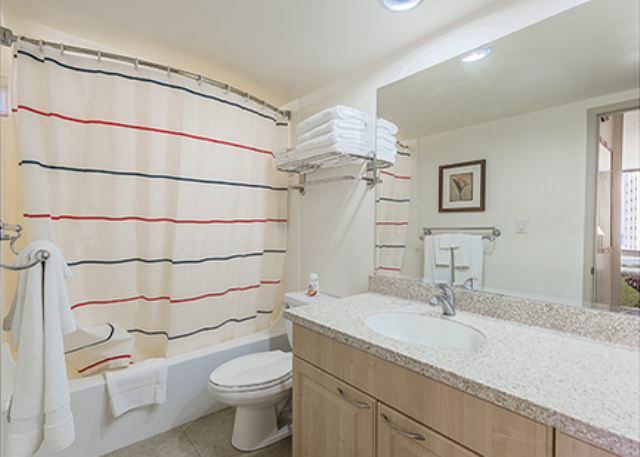 It has a full equipped kitchen with a dining table and all of the conveniences of home. 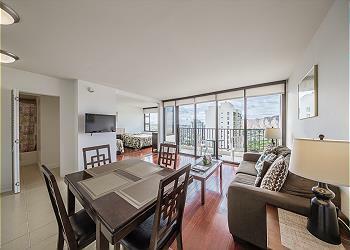 This unit has 1 full size bed and 1 twin size bed in the bedroom and a full size sofa bed in the living room. 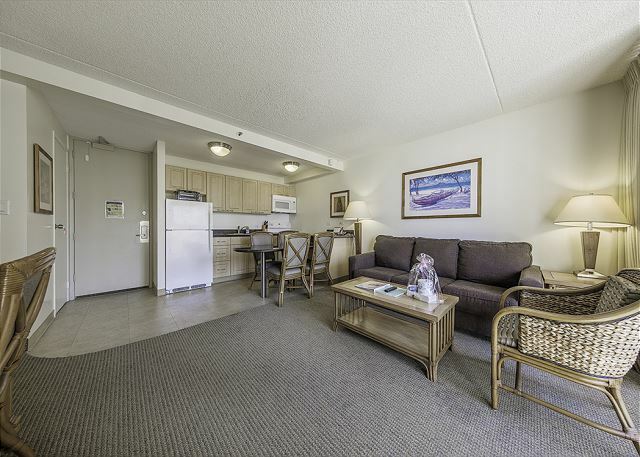 Free Internet (Wifi) , cable, and local phone service are available in the unit. 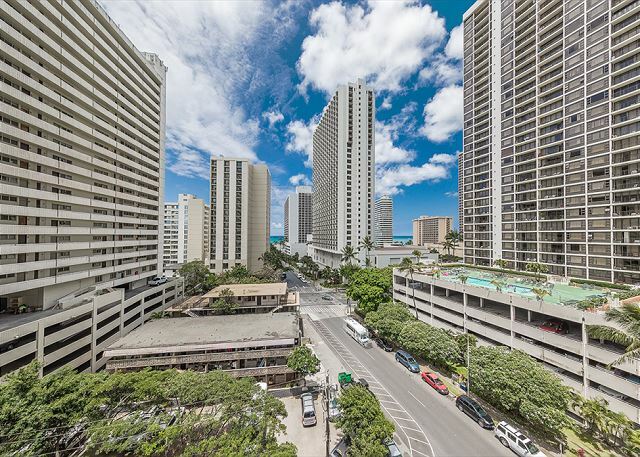 Only one block from the world famous beaches in Waikiki, two blocks from the many activities at the Honolulul Zoo and Kapiolani Park. Building is security controlled. Guests have access to the swimming pool, sauna, tennis court, BBQ (with fee). To enter the building from the parking garage, you need a security key. If you plan to use the condo parking, please let us know when you make a reservation and we will provide a free parking pass to the guests upon request. The location was excellent. 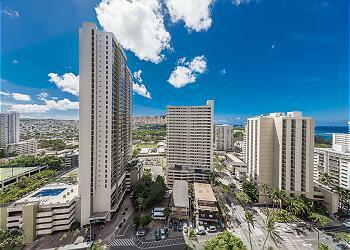 Pretty much in the heart of activities in Waikiki. The elevators got super congested on the weekend, long waits to get one, but weekdays were okay. 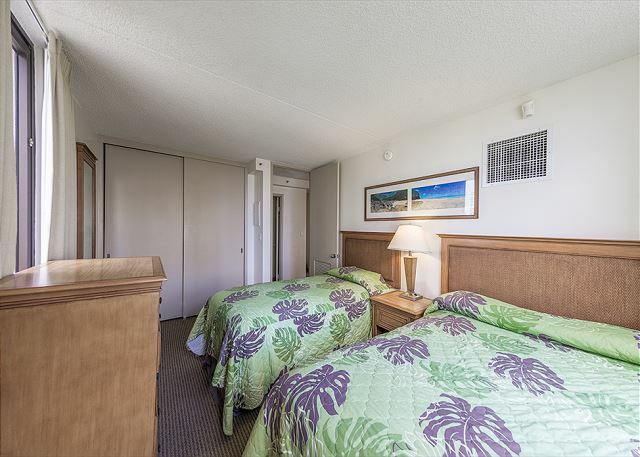 Perfect location and amenities for a comfortable long-term stay. 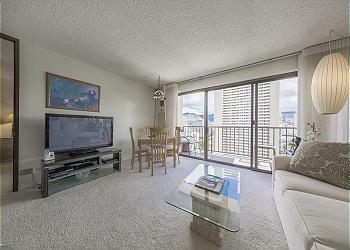 Made us feel like we own a vacation home in Waikiki! We would love to stay again. Great location. Super clean unit. Will stay there again. We could arrive at Honolulu in the morning and enter a room right now.A card key of a parking was also put in the room,so it was possible to park.A flow of the shower was bad from the first day,so when I make the telephone call to an office,you have come to the repairing immediately.A room had complete set of full home electronics.And it's quiet and comfortable here.We'd like also to stay here next time. 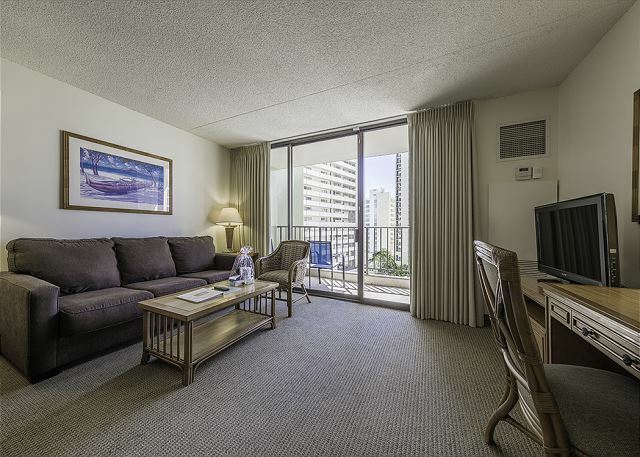 Wonderful location walking distance to the beach. Loved having free parking. The unit was clean and updated and had everything we needing including a rice pot! 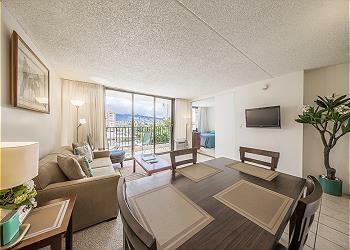 The Service of Hawaian Dream Vacations was excellent. 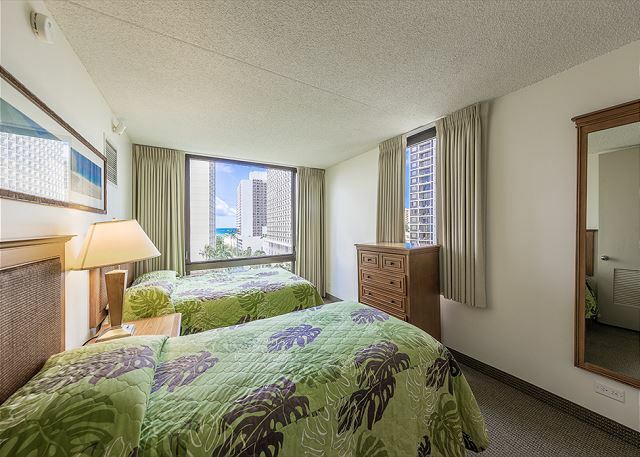 5 min To Waikiki beach and 2 min to Bus stop. The Apartment was clean with a nice view of the ocean. Overall, we were very happy with the place. There are a few things that could be better. (1) Elevators are old and slow. (2) Fire/smoke alarm goes off frequently as many guests cook in their units. (3) Some guests are noisy and you can hear them down the hallway.